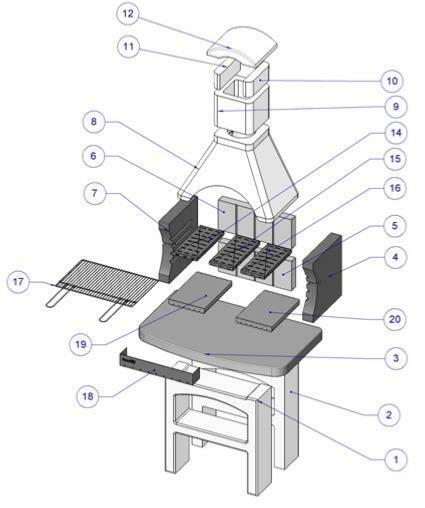 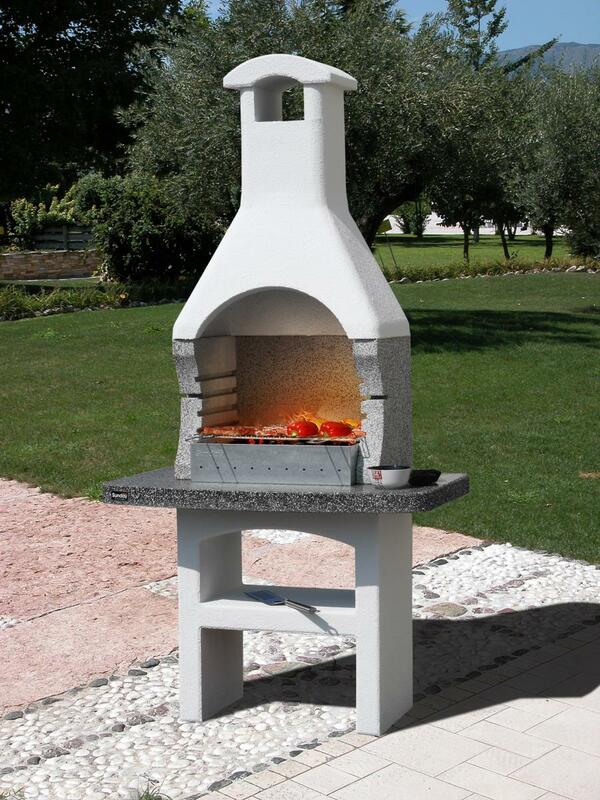 Barbecue made of reconstituted stone, cement and high quality raw materials with high mechanical and thermal resistance. 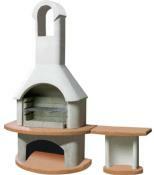 The structure is in white, the fireplace "Sale & Pepe" and the top in "Pepe & Sale" with CRYSTAL polished finishing. 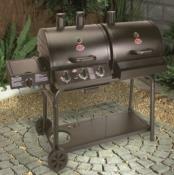 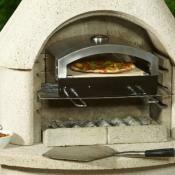 Complete with 60 X 40 chromium plated grill adjustable on three levels. 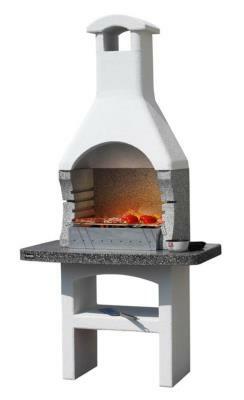 EASY FIRE steel plate for easy lighting. Can also be used with wood!